It is no secret that many analysts and therapists were dissatisfied with their training analysts and supervisors. Once one is in a training program, requesting a change may be impossible. I am less optimistic than Gedo regarding training analysis. Even though the candidate is assured that the training analyst will not share his impressions with institute colleagues, that assurance does not soothe the apprehensions of the candidate, particularly if his fears are unconscious. Furthermore, the candidate knows that no words are necessary; an analyst’s subtle facial expression, or a simple gesture, can communicate his opinion of the candidate to the other faculty members. All that creates psychological impediments to a genuine analysis. Add to that another negative, repeatedly mentioned by Gill, that renders a training analysis different from the usual analytic situation: the existence of a goal additional to the therapeutic one. Of course, many interested parties deny the existence of that extraneous element. The shortcomings in all training institutes, psychodynamic or not, appear to be quite similar in the following respect: an over-abundance of course work that focuses on the dogmatic and theoretical and insufficient exposure to clinical work and competent supervision. Of course, some psychotherapy students are not caught in the rigid situation existing within the training institutes. But for them also, it is not easy to find teachers, supervisors and analysts of excellence. None of that is a revelation. It is as trite as it is sad. I repeat it here only to remind the reader. Gedo is right to complain about the deterioration of psychotherapeutic training and professional standards. Looking back, one remembers the excitement, enthusiasm and hope among both students and teachers who devoted themselves to psychodynamic therapy. Yet one can also remember the decades when psychoanalytic institutes were fortresses of dogmatic rigidity and intolerance, reminding us of the long dark night that enveloped medicine when Galen’s doctrines prevailed. Doctrines and teachings, discarded now and not accepted by many expert professionals even then, were considered as holy as the Ten Commandments and it was blasphemy to raise even a timid question. Gifted young people desirous of becoming psychotherapists but too intelligent to accept dogmas unquestioningly ran into insurmountable obstacles and were lost to our profession. The open-minded and talented analysts who chose not to abandon their profession were not in a position to assert themselves. A great deal of what passes as attested theory in psychoanalysis is little more than speculation, varying widely in plausibility. The chief danger (to psychoanalysis), apart from laziness and woolliness, is scholasticism, … which is treating what is vague as if it were precise. There is no doubt that the profession could and should do much more to alleviate the plight of those suffering from severe anxiety and depression. Indifference to, or acceptance of, the present situation is unconscionable. We could help many more people if only certain basic problems were squarely confronted and necessary changes instituted. Most of those engaged in mental health work would greatly benefit from the improvements we propose in our companion volume. The obstacle, however, is the inertia of the status quo. Obviously, all those assertions need substantiation. 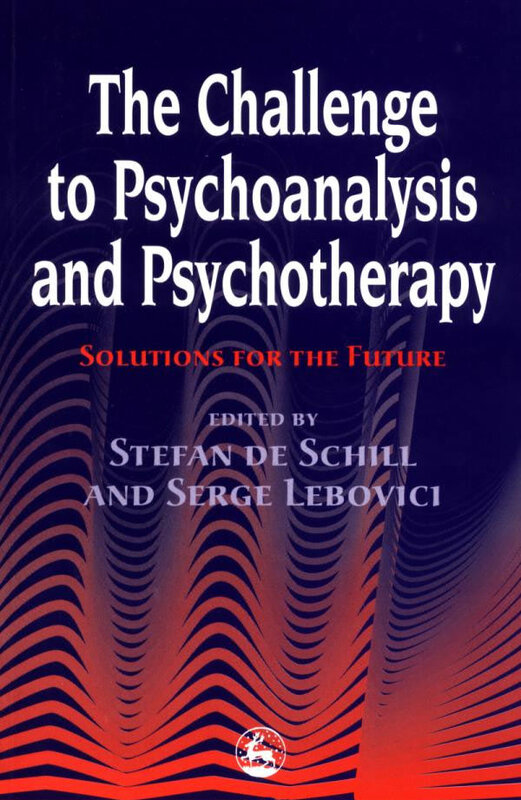 In our companion volume we focus on some of the major shortcomings pervading the psychotherapeutic profession. They afflict not only the individual practitioners but the whole field and involve such vast areas as training and education, patient care, research and mental health policy. We need to determine the specific causes of such an unacceptable situation. Assuredly, certain serious problems in the mental health field are not man-made. Foremost among them is the very nature of serious emotional and mental illness, which presents formidable obstacles to providing effective and lasting help. For that reason, there is no room for professional mediocrity or incompetence. If those words seem unusually harsh, we must not forget that it is precisely the actions of such professionals, and their self-seeking pretense to expertise, that are a major cause of poor patient care and shoddy instruction of future practitioners. It has never been easy to acquire valid psychotherapeutic knowledge and these days, in the face of a formidable information explosion and ill-informed teachers, the task is even more difficult. Still, during a century of psychodynamic exploration we have accumulated a valuable body of knowledge. It is the responsibility of everyone who wants to become a psychotherapist to seek that knowledge and the clinical expertise to go along with it. Unfortunately, not many psychotherapists are willing, or are in a position, to make the extended sacrifice that needs to be made over and above their already strenuous ‘official’ education and training. The resulting inadequacy is even more damaging when the practitioner is ambitious and self-seeking and succeeds in securing a position of importance and influence. The evidence presented in our companion volume is indisputable. It is based on the words that the professionals themselves have written, and their words betray them. Scanning professional writings, one can often detect the tell-tale signs of incompetence, no matter how adroitly they are concealed behind grandiose assertions and scholarly presentation. They deceive only the ill-informed and those not capable of discernment. As Abraham Lincoln said, ‘You can’t fool all of the people all the time.’ Each of the authors whose writings we criticize in our companion volume has also been severely criticized by colleagues whose sober judgment and seasoned expertise render them capable of separating the wheat from the chaff. When we inveigh against those using facile treatment approaches, we have in mind all those who try to avoid the difficult therapeutic work by giving less and less time to the patient or by eliminating the difficult tasks that are part of serious and valid psychotherapy. Those shoddy approaches must be contrasted with the work of the expert psychodynamic psychotherapist, who, having the necessary talent and sensitivity, is able to demonstrate his understanding of the workings of the unconscious by properly handling feelings and dreams, using transferences, understanding repressions and defenses, working through resistances, obtaining relief for the patient from an overly strict superego, exploring childhood events and their links to the psychic structure and its functioning within the patient, reconstructing capably in their own minds a realistic and detailed three-dimensional picture of each patient’s inner universe and, having done all that, formulating highly individualized temporary hypotheses for the patient, rejecting the influence of generalized dogma that is unsuited to explaining and dealing with the specific constellations and needs of the individual patient. The work needed to accomplish those tasks, if done conscientiously, is formidable and no one can do it perfectly. That is why many professionals try to circumvent it. The rationalization for using the facile shortcuts freqently takes the form of generalizing dogma and theorizing. By unashamedly superimposing dogma and theory on the hapless patient, one can avoid the arduous task of investigating and trying to understand that patient’s unique psyche. Grandiose assertions couched in scholarly language substitute for the laborious repair work of the serious clinician. Each person is born different. The psychotherapist needs to arrive at an understanding, not easy to obtain, of the specific ways each unique individual was affected by events in his childhood and later. A considerable part of our companion volume is devoted to a discussion of the means whereby an appropriate and workable representation of the inner world of each patient can be constructed. That work is much helped by the proper understanding of dreams. In 45 years of extensive exploration of many forms of psychotherapy at the American Mental Health Foundation we have arrived at the firm conclusion that all psychotherapists must acquire the knowledge and skills just listed. They are indispensable, even if the therapist wants eventually to engage in behavior modification, marriage counseling, child therapy, group psychotherapy or any other modality of psychotherapy. The more adept the therapist is in using the skills and in reconstructing in his mind the patient’s unique inner world, the less he will be tempted to substitute ready-made pseudoanswers. Understanding the structure and the dynamics of the patient’s psyche, he will be able to detect the causes of his patient’s problems and work toward their resolution. Indeed, acquiring that knowledge and learning those skills should also be part of the education of clinical psychologists and social workers. The knowledge we refer to should constitute the basic knowledge of psychotherapists, to which they would add the specific skills in which they are interested. Like a surgeon, each would have different instruments at his disposal. But how can we ever achieve that aim as long as aspiring psychotherapists are forced to spend many years taking mostly irrelevant courses before being permitted to enter the study of their choice? We must never forget Robert S. Wallerstein’s valiant efforts in the 1970s and 1980s to create a doctorate of mental health program at the University of California branches in Berkeley and San Francisco (Wallerstein 1991). Alas, the powerful forces of those who benefited from the status quo soon squelched that promising beginning, although the new study course would have resulted in vastly improved patient care. In connection with the competence of psychotherapists, there is one more convenient rationalization often put forth by analysts. Although they make frequent reference to authority (that is, Freud), it is only when it suits their purposes; when it is inconvenient to cite authority, there is dead silence and the precepts of the master are utterly ignored. Let us consider the subject of dreams. Many therapists simply do not have the talent or the sensitivity to interpret them properly. We give many convincing examples in our companion volume. For that reason, they stay away from the topic; some say that dreams have little or no importance. Many of those who do use dreams present prefabricated, dictionary-type, cliche interpretations rather than explore the meaning of the dream in relation to the specific dreamer. Freud correctly stated that dreams are the Royal Road to the Unconscious. How is it, then, that the theorists who so freely pontificate and dare to ‘explain’ the workings of the unconscious have nothing to say about dreams and cannot tie them to the theories they propose? On the rare occasions that one of them does mention something about dreams—for instance, Erickson interpreting Freud’s Irma dream or Kohut speaking about flying dreams—their comments usually turn out to be, as we show in our companion volume, unmitigated nonsense based on unsubstantiated intellectual speculation. For the expert, the dream is truly the best road to the unconscious. It offers the best view of the unconscious and its workings, of the forces that support the individual or place obstacles in his path. It takes considerable talent and expertise to work with dreams but they can guide as to what we are looking for. Such guidance cannot be obtained from the theorists who hide behind ill-fitting abstract concepts that do not correspond to reality. When you want to open a lock, the key must fit precisely; it cannot be an approximation. It is poor performance due to faulty abstract concepts that is the cause of the endless stream of new theoretical proposals of remedy, products of speculation by academic armchair analysts. Psychoanalysis and psychodynamic psychotherapy have, to a regrettable extent, become the domain of people of little talent and little capacity to investigate the human psyche, people who have created a safe haven where speculation and discussion are an accepted substitute for knowledge. Of course, I am not the only one to complain about the trends that victimize patients as well as psychotherapists who want to gain indispensable know-how. Take the opinions of three outstanding clinicians. Because their statements are unknown to the vast majority of psychotherapists, and may have been forgotten by others, they are resurrected here and brought to the attention of the profession. They contradict the attitude of so many writers and teachers that all is well in the realm of psychotherapeutic knowledge, patient care and training. This material is taken, in much abbreviated form, from our companion volume. types of patients, and disregard the fact that each individual human being is unique. Let me direct the reader’s attention to Greenson’s severe condemnation of psychoanalysts with ‘preconceived and rigid theoretical notions’ who ‘have prefabricated interpretations for all types of patients’ and ‘those who are predominantly devoted to theory conservation or theoretical innovations’. Because of the importance of the matter, I invite the reader to contrast Greenson with the authors, such as Peter Flirstenau (see our companion volume Crucial Choices—Crucial Changes), who promote facile, superficial prefabricated analysis. accusing us of being unscientific. they strengthen the argument, add weight to the evidence, make the premise scientific? is more than likely that, severe, intense, extraordinary, truly extraordinary, and so on. viewpoint in metapsychology is met. acquiesced and in that way made us almost aware we did not really understand either. our-science we have built in us. we read, and so did the referees for the journals and books that accepted these writings. vocabulary, sentences turn to gas.